It doesn't get much easier than this! Cook some rice in savory chicken broth and you've got a simple side that really delivers! 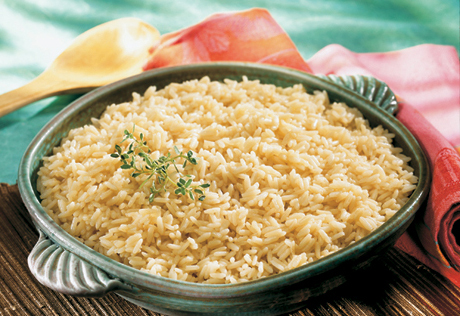 Dovetailing Tip: Cook extra rice to have on hand when making Hawaiian Rice for Meal 3. 1 Heat the broth in a 2-quart saucepan over medium-high heat to a boil. 2 Stir the rice in the saucepan. Reduce the heat to low. Cover and cook for 20 minutes or until the rice is tender. Season to taste.